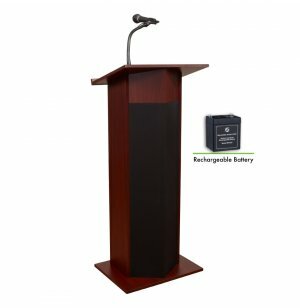 This fully-mobile podium package includes a wireless mic and rechargeable battery, which facilitates full freedom to move around when you speak. For lecture halls where crowds can reach 900 people, this powered podium delivers high-quality, amplified sound and presents a clean, modern style. Sound amplification is provided by a built-in integrated 30-watt amplifier and four 8" full-range speakers. The gooseneck mounted microphone that comes with this powered rostrum is easily adjustable to accommodate presenters of various heights. A wide-angled surface with raised edge come in handy to keep notes and other speaking materials close to the one doing the presentation yet out of the audience's sight. 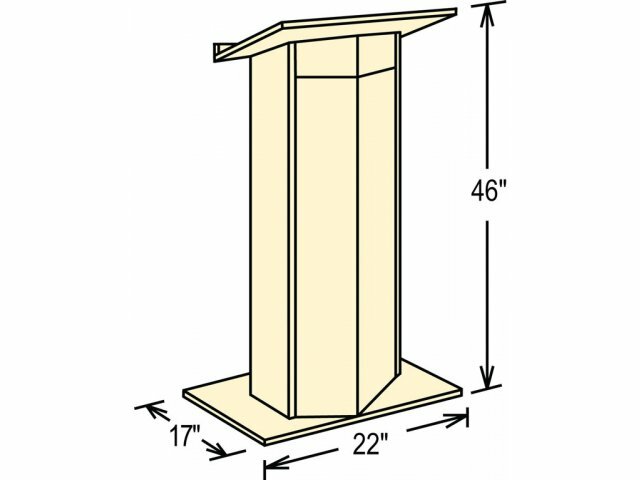 The modern, professional appearance makes this rostrum perfectly appropriate for a variety of uses from conferences to Sunday sermons. 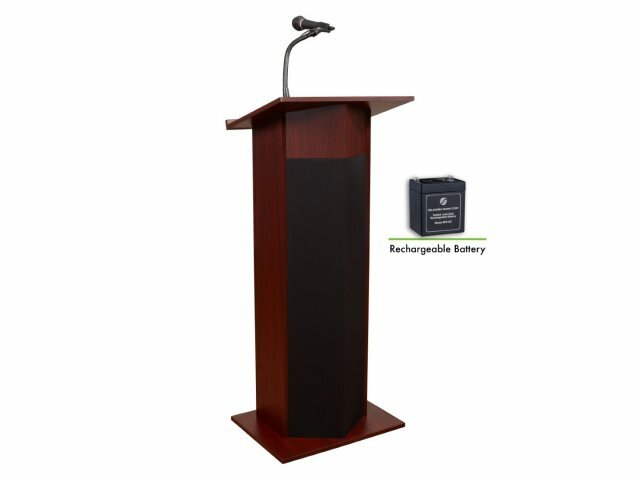 Power Up: Includes rechargeable battery, which allows full freedom to place the lectern exactly where you want. 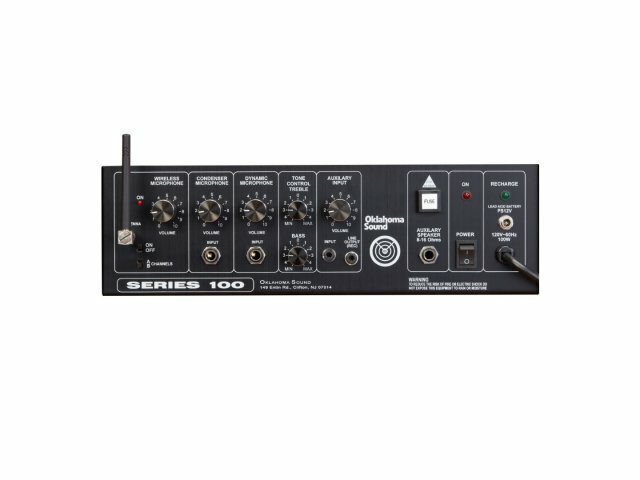 Sound Amplification System: Integrated 30 watt amplifier and speaker system enable presenters to reach an audience of up to 900 people. Hands Free: Gooseneck mounted microphone keeps hands available for changing slides, turning pages or performing demonstrations. Seamless Integration: Speakers complement wood finish, creating a professional appearance. All-Inclusive: Includes built-in ready-to-use wireless receiver as well as a recharger for optional battery. Convenient: Inside 20.5"x 6" shelf holds pointers or other necessary accessories. Smart Design: 22"x 17" reading surface provides ample space for speaking materials. Book stop prevents papers from sliding off.